This entry was posted on April 24, 2017 by Rachel. As you already know, this year is the 10th anniversary of iPhone. That's why Apple is thinking of something special with new features for its smartphones! Especially after that Samsung has released the new Galaxy S8! But let's clarify one thing. So far, there are no certainties about the iPhone 8, these are all rumors coming from different sources, more or less reliable. Especially aimed at bloggers, Vlogger will be the microphone capable of recording, eliminating the noise completely and offering high audio quality. In our previous post we talked about the fingerprint sensor that could be integrated into the display. It is said that this has been tested on several prototypes, but the desired result has not been achieved yet. Therefore, it is likely that the sensor will be fixed on the back of the iPhone 8. This may be uncomfortable, for example if you want to use iPhone accessories. But this is not a definitive statement, because Apple is always working with different iPhone prototypes. If we learned one thing, it is that Apple does not give up until it reaches its goals. Many images are circulating on the web where the new iPhone 8 has no side or button margin. However, it is fair to wonder how this will be possible. How will the front camera be positioned on the display? And how will it work with the headsets? Another rumor is related to the automatic display light adjustment - thanks to True-Tone technology - with which the colour of the display that adjusts automatically to the surrounding environment. This is a very reliable rumor, as iPad Pro 9.7 already has this feature. To keep up with Samsung, we cannot not to expect a clear improvement Siri's voice control. The new Siri might be able to recognize objects from the camera and return relevant information to the display. It isn't excluded the ability to recognize the user's emotions, to measure body temperature and heart rate. This is what it says, even if it seems unlikely! 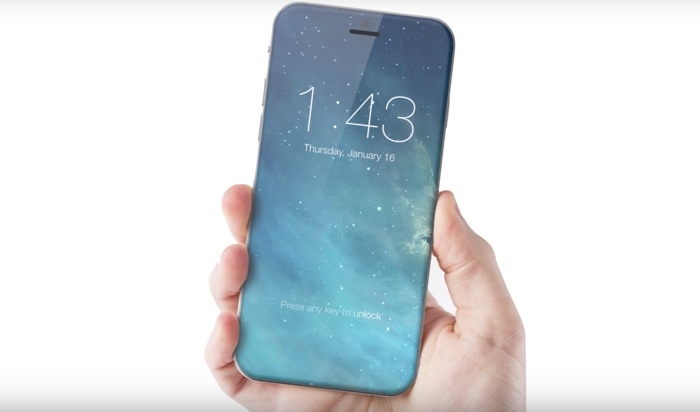 What features would you like for the new iPhone 8? Give us a comment and stay up to date with GoCustomized! This entry was posted in Smartphones on April 24, 2017 by Rachel.